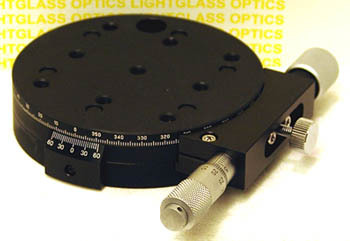 The OptoSigma 124-0075 Rotation Stages provide a rotary translation movement. These are unused in the box, and are made of black oxide brass. They have a load capacity of 80 kilograms and have a micrometer resolution of 20 seconds of arc.